Home» Android » Custom Recovery kaise Install/Flash kare Android Phone me ? 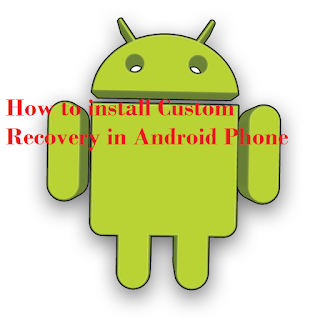 Custom Recovery kaise Install/Flash kare Android Phone me ? Hello , Friends Myteachworld blog me aapka swagat hai. 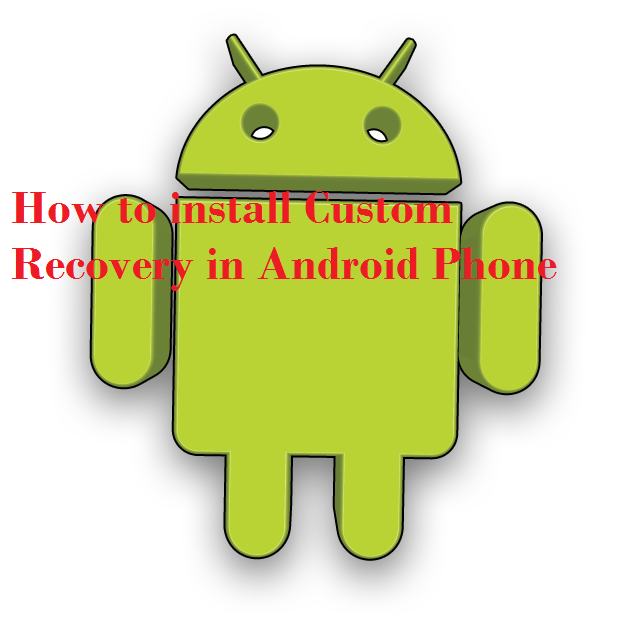 friends aaj mai aapko btaunga ki kisi bhi Android Phone me Custom Recovery kaise install kare ? Dosto Maine aapko pichli post me btaya tha ki Android phone me Stock Recovery kya hoti hai, aur Custom recovery kya hoti ? Mai aapko fir se yad dila deta hu. Android Phone me stock recovery default recovery hoti hai, Stock recovery se Aap Apne android phone ka Backup le sakte hai. or officeial Stock Rom install kar sakte hai. Or jo Custom Recovery hoti hai ,ye ek tarah ki Experimental Recovery hoti hai. Custom recovry ki help se aap apne Android phone me un sbhi chijo Ko Flash kar sakte hai jinki permission apko Stock Recovery nhi deti hai . Custom Recovery Install Karne ke liye Apka Phone Rooted Hona Chaheye. Agar aap or detail se jana chahte hai Android Recovery ke bare me . To uper di hui link par click karke aap full guide le sakte . Friends ab bat karte hai Custom Recovery ke type ke bare me. TWRP(TeamWin Recovery Project ): TWRP recovery same CWM ki tarah hoti hai. Ye Recovery Touch base par work karti hai. ji ha aap iss recovery me sabhi work ko Touch ki madad se kar sakte hai. Or iss recovery ki khas bat hai, isme aapko battery percent, time bhi show hota hai. CWM(ClockWorld Mod): Friends CWM recovery Volume Button, Home Button se work karti hai. Ji ha Iss Recovery me aapke phone ka touch work nhi karega. ye recovery Stock Recovery ki tarah hoti hai. Iss recovery ke help se aap purane ROM ka backup bna sakte hai. Philz Touch: Philz Touch Recovery same TWEP recovery ki tarah hoti hai. ye recovery bhi Volume Button, Home Button aur Power Button par work karti hai. Friends TWRP recovery sabse best recovery hai. Mai bhi yahi use karta hu. Mai aapko yahi advice dunga ki aap bhi yahi recovery use kare. To friends chaleye Mai aapko btata hu .Aap Apne Android Phone me TWRP Recovery kaise install kare. Important: Dear readers aapko ye dhyan rakhna hai. Agar aap koi bhi Custom Recovery Apne phone par install kar rhe hai, To sabse Pehle Aap ye Check kar le ki aapke Phone ka Boot Loader Unlock hai ya nhi. Agar aap ke Phone ka Boot Loader Unlock nhi hai to aap Google Par Apne Phone ke liye Kis tarah Boot Loader ko unlock karna hai dekh le. Kyuki friends aap jab tak Apne Phoone ka Boot Loader Unlock nhi karte hai, Aur Custom Recovery Install karte hai . To aap ka phone On nhi hoga . Dear readers TWRP Recovery Install karne ke pehle Apne Android Phone ko root jarur kare. Step1: Sabse pehle aapko Flashify name ke app ko Download karna hai . Friends maine Download Link Requirement me de rakhi hai . aap waha se Download kar sakte hai. Ab Aapko apne android phone Flashify App ko download karke Install karna hai. Step2: Ab Aap Flashify App ko open kar lijeye. Ab Aap Allow par click kijeye jisse ROOT Permision mil jayegi. Step3: Ab aap ko Backup Ka Option Dikh raha hoga . Backup par simply click kijeye or Current Backup Or Recovery ka backup bna lijiye , jisse agar bad me koi Problem Aati hai , to aap dobara Restore kar sakte hai. Step4: Ab aapko wapas flash option par jaye . Or Recovery par click kijiye. Jaise he Aap recovery par click karenge aapko Teen Option Show honge . Aapko TWRP Download Par click karna hai . Ab Aapko TWRP Recovery ke sabhi Version show honge , aapko Latest version Download kar lijeye. Step5: Ab jo File download ki hai , aap usko install kar lijeye. Install karne ke liye Yup Button par click kare. Jab Recovery Install Hojaye, to Aap reboot now par click kijiye apka phone Restart hojayega. Congratulation Aapke Andriod Phone me TWRP Recovery successfully Install Ho gayi hai.